We all celebrate Christmas in different ways. Some people open presents on Christmas Eve, while other wait until the morning of Christmas Day. Some people eat ham and turkey, while others prefer Italian food or pizza. But did you know that in Australia they oftentimes celebrate Christmas on the beach because December in Australia is in the summer? 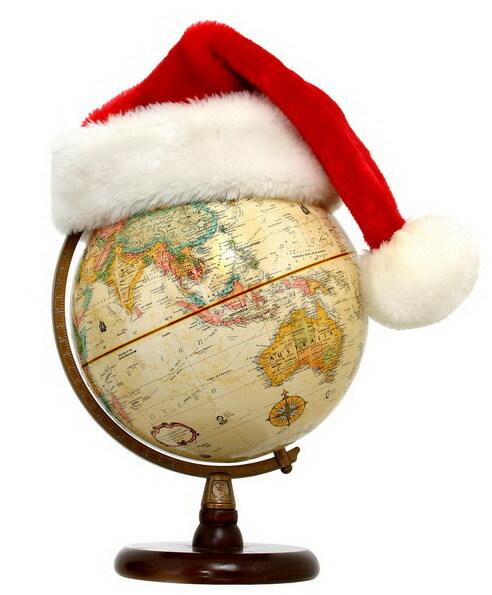 Keep reading for more interesting facts about how they celebrate Christmas around the world! In most Scandinavian countries around Northern Europe the begin the holiday season by celebrating what they call St. Lucia Day (Dec 13), a day that honors Lucia of Syracuse. Ever heard of the yule log? Norwegians sure have. In fact, it is the birth of now synonymously-named old log. The ancient Norse used to burn what they called hweol log (meaning wheel named after the sun) when they were waiting for the sun to return during winter solstice. The term “Merry Christmas” wasn’t very popular until the early 1800s. It was popularized by an Englishman named John Calcott Horsley. Horsley began producing small greeting cards to be exchanged among friends using the term liberally on each card. Then, by the 1830s the cards were a hit, and the rest is history. In France, the term Christmas is not used. Rather, it has been replaced by the term Joyeux Noël! It comes from the French term les bonnes nouvelles. which means “the good news,” a reference to the Christian gospels. In Canada Christmas is largely the same as it is in the U.S. However, in the far North of Canada the eskimos have made their own version of Christmas called sinck tuck where there is dancing, feasting, and gift-giving. In Fiji where it is hot during Christmas (much like Australia), the locals eat “lovo,” a reference to the “Earth Oven” they use to cook with, which is made up of chicken, rice and “palusami,” dalo leaves wrapped around ground meat. This entry was posted in Gradcast and tagged christmas, Gradcast.com. Bookmark the permalink.